An Italian Food Import Specialty Store wanted with a new store presence wanted to highlight their products, and cooking and language school. 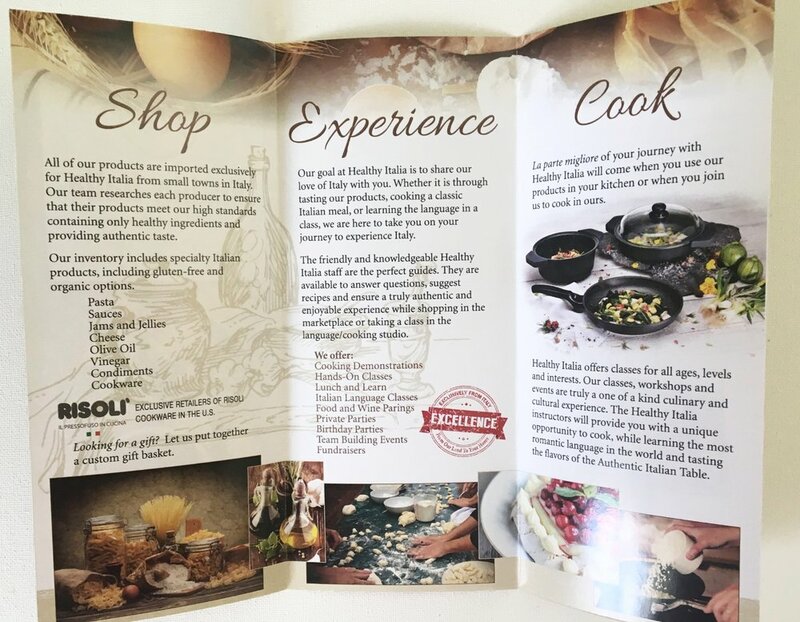 They wanted to show their high end products, fresh ingredients used in their cooking classes and give the feeling of a true cultural Italian experience. The brochure was used in store and included a coupon for their grand opening promotion.